TMJ Syndrome (Temporomandibular Joint Disorder) is known by a variety of different names including teeth grinding, jaw clenching, and others. It can lead to a host of other problems, all of which are painful. The most common symptom of TMJ is a headache. Very often a doctor will make a diagnosis of migraine in a patient with continual headaches which will lead to a prescription for pain killers which can be very strong and can also become addictive. If the cause is not migraine but TMJ the headaches continue which can be very debilitating and frustrating, and the patient very often believes that there is no cure. Dr. Alex Rabinovich is one of the leading TMJ specialists in San Francisco, and he recommends a personal consultation as no two patients are the same. While the most common symptom of TMJ Syndrome is constant headaches, it is by no means the only one. Other symptoms include teeth grinding, a clicking in the jaw joint, painful jaw, ache in the neck or shoulders, backache, pain in the face, painful teeth, and even vertigo which gives loss of balance making it difficult to walk or stand and a feeling of dizziness, and making the toes or fingers feel numb. As you can see, TMJ can cause symptoms which can be extremely unpleasant. Furthermore, TMJ can be a degenerative disease which, put simply, means that it is going to get gradually worse. If you think that you might have TMJ then you need to consult an expert oral surgeon urgently as a matter of urgency. Our convenient San Francisco office makes it easy to come in for a TMJ analysis. We’re convenient to BART and MUNI. TMJ is caused by muscular spasms in the neck, shoulders, and back, which in turn are the result of the teeth not being in correct alignment and fitting together combined with the way that the jaw would wish them to be. This can be the result of sports injuries, or whiplash injuries in auto accidents, for instance, and can result in consistent ongoing pain. Our doctor, Dr Alex Rabinovich, is an expert in the diagnosis and treatment of TMJ in San Francisco and has developed a method for discovering the cause of muscle spasms which result in TMJ and providing relief from the ensuing pain. 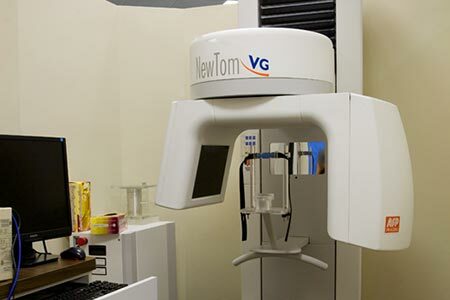 He uses a 3D imaging scanner which gives a three dimensional image of the jawbone and enables him to expertly decide on the best method of treatment. Nobody should have to go through life suffering from constant headaches, shoulder, neck, and back pain when a relatively simple operation can solve the problem and prevent matters getting worse. If you think that you may be suffering from any of the symptoms described above, surgeon Dr Rabinovich will be happy to offer you a completely free consult as a San Francisco TMJ specialist with no obligation. Call his office on (415) 817-9991 or click on the Contact Us link at the top of the page. This entry was posted in Blog and tagged oral surgeon, Oral Surgery, San Francisco, TMJ Specialist on April 7, 2017 by Dr Alex Rabinovich.